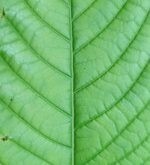 Our high-quality Green Strain Borneo Kratom comes from the island of Borneo. Borneo is the third largest island in the world, located in Southeast Asia. You'll find this strain has a very pleasant and unique aroma. Our Green Vein Borneo comes from the rain forests on Mount Kinabalu.